Wooden Personalised Hanging Plaque/Sign - All because two people fell in love. Engraved with Names. Ideal Anniversary or Wedding Gift. 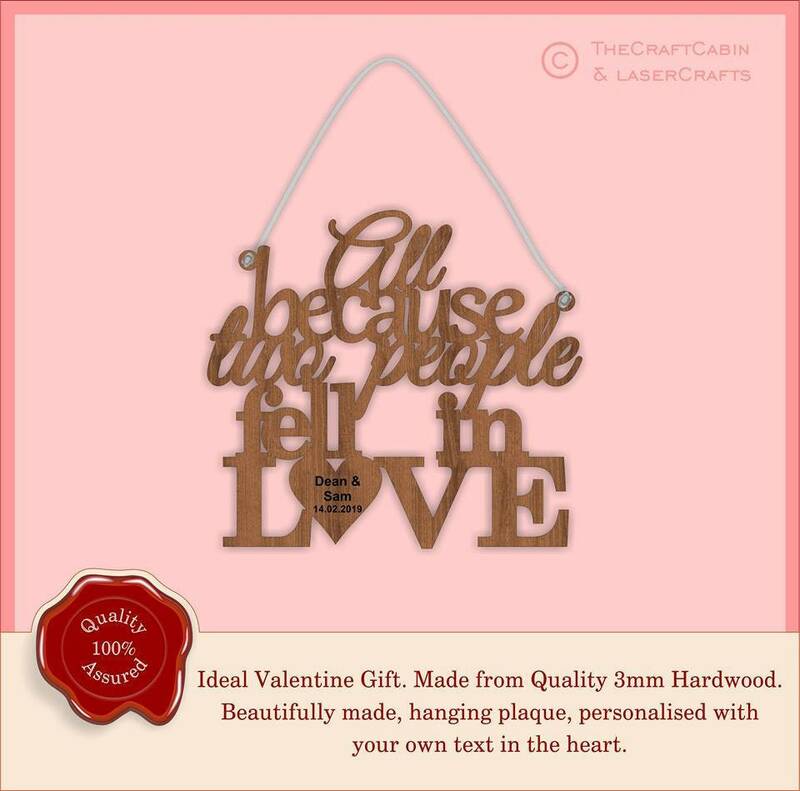 Wooden Personalised Hanging Plaque, Sign - All because two people fell in love. Engraved with Names. Valentine's, Anniversary, Wedding gift. Beautiful, laser cut hanging plaque/sign. Cut from 3mm high quality hardwood plywood. Suitable for: weddings, anniversaries, birthdays etc. · Approx: dimensions: 14.5m · Personalised with your surname/names, and a special date engraved in the heart. Please allow 5-7 working days for engraving and dispatch of goods. During check-out, please leave your information in the "Notes to Seller" Section for your hanging plaque/sign. your hanging plaque/sign with 5-7 business days.